They may sound more like something from The Flintstones than a holiday hideaway, but cave dwellings are becoming increasingly popular among British homeseekers in Spain. As an ever-increasing number of modern developments sprout up on the Costas, itÂ´s a classic case of `back to the basicsÂ´. Until the fifties, many thousands of native Andalucian farmworkers lived in these hobbit-like dwellings, or casas cuevas. In the searing heat of the souther Spanish summer, they remained cool and offered comfortable, budget housing. But with the advent of mass tourism on the nearby Costa del Sol, many locals left their holes to live in the exact opposite â€�€� high-rise concrete towers overlooking the Mediterranean. 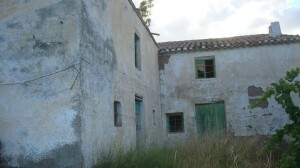 The abandoned casas fell into ruin. But things are changing and these traditional homes are now des-res â€�€� and cheap too. A redeveloped cueva comes with all the mod cons, including a fully-fitted kitchen and a luxury bathroom. 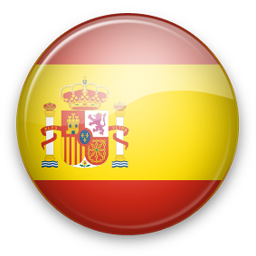 â€œThey are perfect for buyers keen to get onto the Spanish property ladder.â€ Says Christina Sanchez of property agent, 1 casa. â€œPrices start at only â�€�¬23,000 (Â�£15,000) in some areasâ€. But while these cosy bolt-holes have electricity and plumbing, they donÂ´t come with heating. 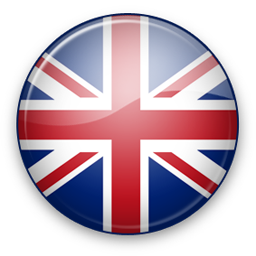 Thanks to their naturally insulated construction, they maintain a steady temperature of 20ÂºC, whatever the weather. 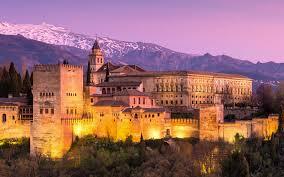 But thanks to the booming interest in these properties, he wonÂ´t have to. He now lives in a cave that came ready developed by a team of expert local builders, and says he wouldnÂ´t live in anything else. â€œIt puts you in touch with your primitive instincts, and thereÂ´s something about the silence that appeals to me,â€ he says. â€œOn the other hand, I can appreciate why some people would be terrifed of that. ItÂ´s womb-like.â€ Most â€˜modernâ€™ caves these days look like typical Spanish villas, until you realise that only the front is visible. But descending up to 60ft underground, without windows, these tardis-like structures can get rather dark towards the back of the property. 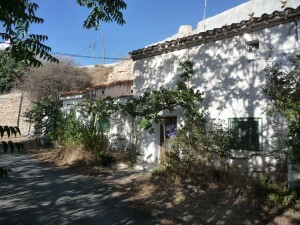 Despite the mass migration towards the coast, the Granada province still has the largest population of cave-dwellers in Europe. Spanish Inland Properties is run by Les Edwards, 70, a former mining engineer from Cornwall, who went there with his wife Sharon and son Craig to start a restaurant in the small town of Galera, about 90 miles north-east of Granada City. When the business failed to take off, he turned his attentions to the holes in the ground which perforate the region. â€œIt was about being in the right place at the right time and it didnÂ´t take me long to figure out that cave homes are comfortale, practicable and affordable.â€ He says. Galera has a population of 900 people, with a permanent presence of 30 British cave-dwellers. â€œThis is a different way of living, and itÂ´s not expensiveâ€ says Sean Lummis. â€œAnyone thinking of buying in Spain should consider the facts: the resale market on the coast is dying on its feet, with average annual growth hovering at under 2 per cent.â€ â€œMeanwhile, inland properties are increasing in value by an average of 10 per cent. Even unreformed holes in the ground are a very good investment at the moment. My advice is to buy one and sit on it.â€ With prices starting at less than the cost of a second hand caravan, perhaps itÂ´s time we all went underground. 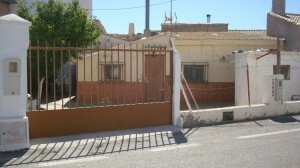 Cave in Las Vi�as a 10-minute drive from Guadix with ..."
The property comprises of eight spacious..."
"Village House, semi-detached distributed as follows: kitchen with fireplace, 3 bedrooms, 1 bathroom,..."